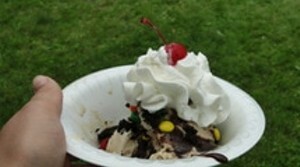 Race 4 Sundaes | Community Church of Huntington | Health & Fitness | Kids VT - small people, big ideas! When: Sat., June 29, 8:30 a.m.
Price: $10-30; proceeds raised benefit Neighbor Helping Neighbor. A 1-mile fun run is followed by a 5K and 10K, with a cool and sweet treat for each finisher. Registration opens at 7:45 a.m.